Mitch Hamik, a native of Atkinson, NE, is a new loan officer at Homestead Bank in Albion. Mitch is a 2002 graduate of West Holt High School and has two brothers. 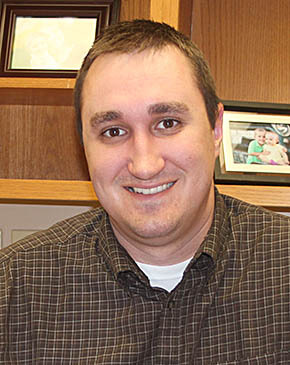 He earned his bachelor’s degree in accounting at Doane College, Crete, in 2009, and has been in the banking profession for the past six years. His wife, Amber, is a native of Wolbach. She is the Title I reading teacher at Boone Central Schools.